This article on the history of Cary Lodge was written by W.Brother Harry Holland as it appeared in The Cary News, Centennial Issue, Wednesday, May 5, 1971. These words are quoted from the original minutes of Cary Lodge # 198, dated on Friday before the second Sabbath in April , 1865 (April 7th). This was exactly one week before the troops of General Sherman marched through Cary. It is interesting to note that, after paying its debts, the Lodge contributed the balance of its treasury to the relief of widows and orphans and appointed a committee to look after them which included a minister (Blackwood) and a doctor (Young). Their first order of business, after electing their officers, was to appoint Bro. G. H. Alford as a committee of the whole, “…to arrange the matter with A.F. Page concerning lodge room and and enter obligation with him.” Later records show that they paid him $30 per year as home rent. The first petitions were received for membership at their third meeting on January 9th, 1858 and were those of A.F. Page, founder of Cary, and Sidney Scott. They were both made Master Masons on May 8th, 1858. The Lodge had nine visitors for the occasion, among whom were A. J. Holland (my great-great uncle) and Alexander Page (father of A. F. Page) all of Holly Springs Lodge. These were the early years of Cary’s history. Historical accounts of the town show it to have been a very small village without even a church. These accounts give the names of many men who were influential in the growth of the town and its prosperity. Most of these same names will be found amoung the pages and records of Cary Masonic Lodge as some of its most active members. J. E. Allen, W. J. Holleman, and G. H. Alford were its first principle officers. Rufus H. Jones was the first secretary. A. F. Page, Sidney Scott and Alvis Yates were the first three new members. Dr. Thomas W. Young petitioned in October, 1860. A visitor in the lodge that same day was R.W. York (later a Capt. in the Confederate Army). Rev. A. D. Blackwood affiliated in July, 1862 and Dr. C. F. Dowd joined in May 1864. What prompted the organization of a lodge in the small village of Cary is not known. There were already lodges at Holly Springs (chartered in 1847), Raleigh (Hiram Lodge, chartered in 1799) and George Washington Lodge (chartered in 1855) which was located about 18 miles West of Cary. Cary, being located near the center of this geographical area, drew most of its original members from these three lodges. During the Civil War, Cary Lodge was the scene of much activity. Membership increased greatly and incidents of charity and relief became more frequent. How many of the lodge members that were in the army is not shown in its records. The minutes do record, however, several resolutions of respect for a deceased Brother who had been killed on various battlefields. The Federal Troops apparently set fire to the lodge room. How much damage was done in not recorded. Most of the lodge furniture was destroyed along with its Charter. The Grand Lodge issued a new Charter in December, 1865. This Charter now hangs in the present Masonic Temple. The years immediately following the war were hard on everyone. The lodge was no exception. In spite of this adversity, the lodge membership continued to grow and they somehow found funds for Charity. They lost no time going to work for at their next meeting a committee was appointed “…to have a lodge built and to decide where and how it shall be done." The committee was authorized to borrow $150. From whom the money was borrowed is not recorded, however, a latter record shows the lodge owing a note to Wiley W. Holleman in the amount of $82 at 8% interest. Cary had its first "Masonic Hall" by early 1870. The Lodge moved back to Town. It wasn’t until June, 1877, however, that “The house committee was ordered to have stove put up (this wasn’t their first one, they took it down during the summer) and have a kind of open brick between the pillars to keep stock from under the house." They used this building until they moved to their present Temple which is located at the corner of Chatham and Academy Streets. Bro. Russell O. Heater, Martin T. Jones, Dr. J. M. Templeton, Dr. J. P. Hunter, along with the help of other members of the lodge must have wrough something close to a miracle in getting the present Masonic Temple built. This feat was accomplished during the depths of the greatest depression in our history. The corner stone was laid by the Grand Lodge on July 20, 1931. The dedication ceremonies were held on Nov. 12, 1931. This could well have been one of the biggest things to happen in Cary up to that time for there were in attendance at this public meeting 32 of the lodge members, 77 visiting masons representing over 20 different lodges from all over North Carolina as well as representatives from the states of Alabama, Pennsylvania, New York, Indiana and Florida. Representatives of the Eastern Star, schools, churches and local citizens are not recorded by name but it appears that they were all there. The influence of Cary’s Masonic Lodge upon the history of Cary would be impossible to measure. Thomas Byrd’s book "Around and About Cary" list the names of 26 men who have served as Mayor of the Town of Cary. Nineteen of them have been or are, members of the Lodge and many of them have served the distinguished office of Master of the Lodge. It started over thirteen years before the town was chartered and almost fourteen years before the first church. It served the town before it was a town and its members helped nurture it through the lean years and into these, the 1970’s. 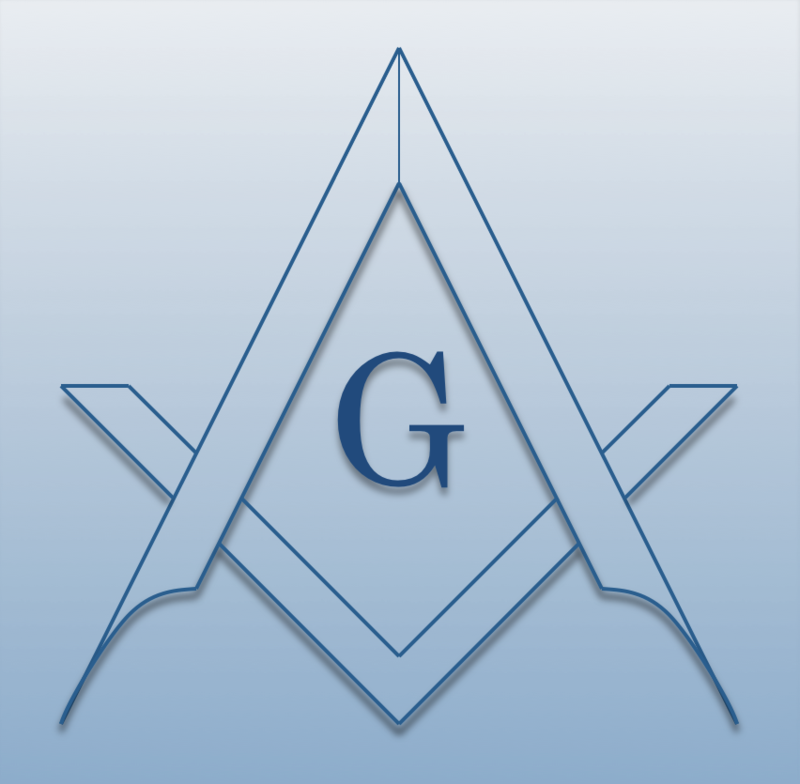 The more than 220 masons that comprise its present membership intend that this proud Lodge shall serve well the Town of Cary in it future years as well as it has in the past. Since W. Bro. Holland wrote the above article, the Lodge continues to move forward. The lodge purchased land and built a new Masonic Temple in 1978 where the lodge continues to meet presently. Located at 1142 SE Maynard Rd, the Cary Masonic Temple is easy to find (between Cary Towne Blvd and Chatham St). More of the present day history will be presented here.